N and I shared dinner at the local 'wonderful' Indian restaurant where we really lashed out and ordered something completely different. YUMMO! The evening there was polished off with a latte (me) and a complementary port (N), again YUMMO! 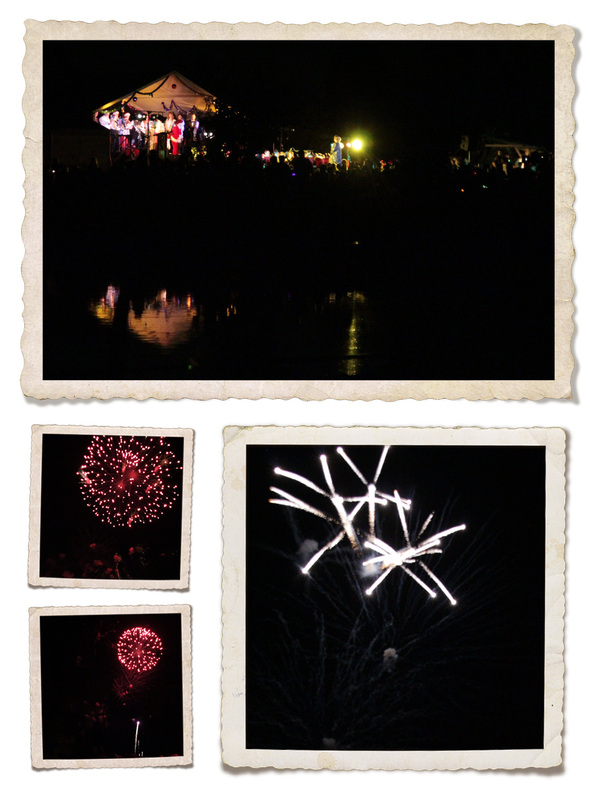 We got to the Carols, within close walking range with 1/2 an hour to spare before the big fireworks. We got to hear Santa talking (he may have also delved into the complementary port elsewhere) and heard the final song this year before the fireworks. In fact, there was some silence, at which point everyone wondered whether it was time to leave and whether there were in fact no fireworks this year. I'm loving their new piece about bokeh too, can't wait to try that one out.